Catering for family holidays, short trips or business stays in and around the town. Stay in a hotel near the town centre within walking distance of the shopping areas, historic sites and attractions. Colchester town centre hotels offer you the benefits of easy access to all the main shops, restaurants and attractions for a hassle-free stay. Within walking distance of the main entertainment venues, such as the Theatre, Arts Centre, and Nightclubs. Close to restaurants, bars, and cafes in the town centre for an unlimited choice of great places to eat right near your hotel. Located in Colchester's historic cultural quarter, Greyfriars is an exquisite, Michelin recommended 4* luxury hotel with superb restaurant, afternoon tea parlour, terrace and lounge bars. Set in the heart of Colchester, the 500-year-old George Hotel boasts an a-la carte restaurant, bar and lounge area. The George lies 100 yards from Colchester Castle and is surrounded by an array of shops, bars and restaurants. A modern town centre hotel in a Georgian setting. Rooms have tea & coffee making facilities, free WI-FI, DVD & freeview TV. Our restaurant, The Green Room, offers a traditional British menu with a twist utilising the best of local produde. On the outskirts of Colchester’s town centre, you can stay in hotels in some of the most beautiful countryside in the East of England. Discover the village of Wivenhoe, with it's charming pubs, quaint high street, and riverside setting. Modern, contemporary bar brasserie with 15 stylish en-suite bedrooms. The place to eat, drink and stay in the Dedham Vale. Open for full à la carte menu all day, so no rush. Colchester's four-star luxury hotel once painted by Constable. Surrounded by glorious parkland, Wivenhoe House combines the romance and charm of an eighteenth century Grade II listed house with all the comforts of contemporary living. 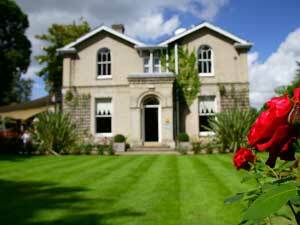 Fabulous country house hotel situated over looking Constable Country and the Dedham Vale. 12 luxurious suites all individually designed and decorated. 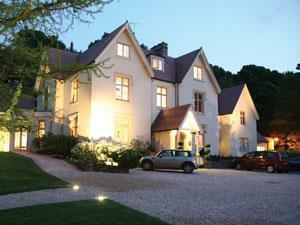 Day spa, tennis court, outdoor swimming pool and hot tubs. Dine at Le Talbooth. The Crown, Stoke-by-Nayland is our traditional vintage Inn & privately-owned boutique hotel. We have built an enviable reputation from our commitment to providing friendly service, luxurious accommodation & delicious food, wine & real ales. Grand houses in beautiful grounds provide the setting for unparallelled luxury in Colchester and the surrounding area. Stay in three and four star hotels for an unforgettable relaxing holiday. Situated on the quay in Harwich, the hotel has 14 bedrooms many with fine views over The Stour and Orwell estuaries. 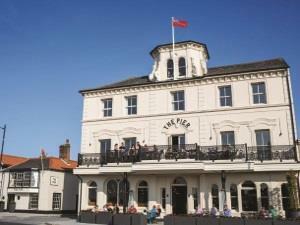 The Pier has two restaurants, the Harbourside on the first floor and the Ha'Penny Brasserie which is open all day. Just 10 minutes from Colchester Centre, Dragonfly Hotel Colchester offers spacious rooms with flat screen TV’s. Next to the A12 motorway, there is an on-site restaurant and free parking. The Colchester accommodation listed on this website is not exhaustive. It comprises establishments which have chosen to advertise. Descriptions have been provided by each individual proprietor. Colchester Borough Council cannot accept responsibility for any inaccuracies or omissions which the listing may contain, and does not give any warranty of any kind in respect of the establishments referred to in the list.